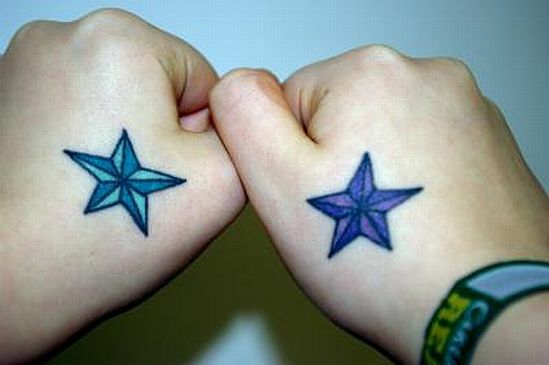 A self-confessed weirdo, this British babe called Sarah got herself a pair of Nautical Stars tattoos on the backside of her hands. Created by a dude called John who works at Pierced Up in Bristol, Sarah even took the pains of naming her tattoos Tristan and Patrick for reasons best known to herself! We dig your tattoos Sarah but please donât freak us out by naming them like they were your babies!